While not being measurements of aging, lifehistory traits such as developmental schedules are relevant for comparative studies of aging. For instance, long development in mammals is typically associated with a long adult lifespan, independently of body size (Harvey and Zammuto, 1985). Age at sexual maturity, gestation or incubation time, and litter or clutch size are all important features of animals, particularly in the context of ecology and to understand the evolutionary forces that shape lifespan. Other estimates of aging have been used such as adult mortality rates, average longevity, and adult lifespan. Adult mortality rates and average longevity did not correlate well with the MRDT or with physiological aging parameters in rodent cohorts (de Magalhaes et al., 2005b). In the context of comparative studies of aging, there is no strong reason to use these estimates rather than maximum lifespan, though maximum adult lifespan may sometimes be more appropriate than tmax. In contrast, the large amounts of tmax data available make it a good term for comparisons. In conclusion, the most adequate measure of aging is still tmax. Faster aging organisms will not be able to live as long as slower or nonaging species, which will be reflected in tmax. In fact, a has been shown to correlate with tmax (Finch and Pike 1996). We also recently showed that tmax correlates with MRDT in rodent cohorts (de Magalhaes et al., 2005b). Certainly, there are inherited problems in quantifying aging using tmax and, at least for species with high mortality rates in the wild, tmax should be estimated from captive populations. Nonetheless, while the use of the methods described above is encouraged, particularly descriptions of physiological, biochemical, and anatomical changes with age, tmax will continue to be the most widely used estimate of rate of aging. In the remaining of this chapter, tmax is commonly used. 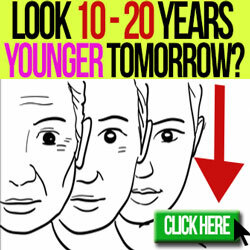 As mentioned above, the ultimate objective of aging research is to benefit people. Consequently, choosing species for the comparative biology of aging must be done having Homo .sapiens in perspective. Whether model organisms are representative of the human aging process has been debated by many others (Gershon and Gershon, 2000). It is possible that mechanisms of aging are conserved across distant species, and it is possible that they are not (de Magalhaes, 2004). Since there is still no definitive answer to this debate, my position in this work is that species biologically and evolutionarily more distant from humans are less likely to share mechanisms of aging with people, and thus an effort was made to select species closer to humans. Since among mammals there is a great diversity in the pace of aging, there is no scientific reason to employ nonmammalian species in the comparative biology of aging. On the contrary, incorporating nonmammalian species may lead to the use of species with different biology than humans and thus of more dubious use to understand human aging. In fact, mammals feature unique traits associated with aging such as diphyodont replacement—i.e., two sets of teeth—which is surprisingly common in mammals and is associated with tooth erosion, and a lack of oocyte regeneration, which makes reproductive senescence inevitable in all studied female mammals. These traits suggest that the evolution of aging in mammals may have had unique features (de Magalhaes and Toussaint, 2002). While there may be practical and economical reasons to employ nonmammalian species in aging research, these must be considered as secondary choices and more error-prone than mammalian models.